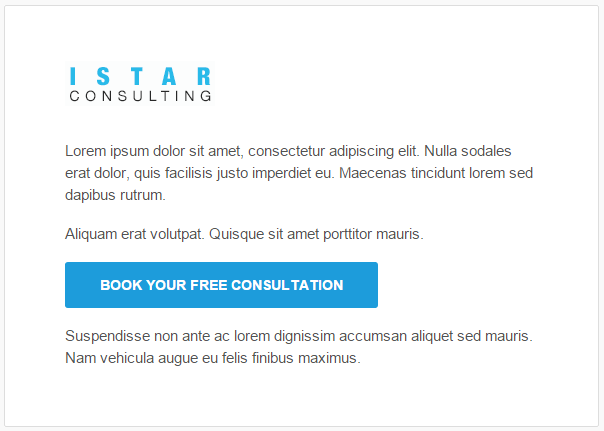 Your booking page can be easily integrated into your emails. Get started by clicking the Share icon in the upper left hand corner of your dashboard. 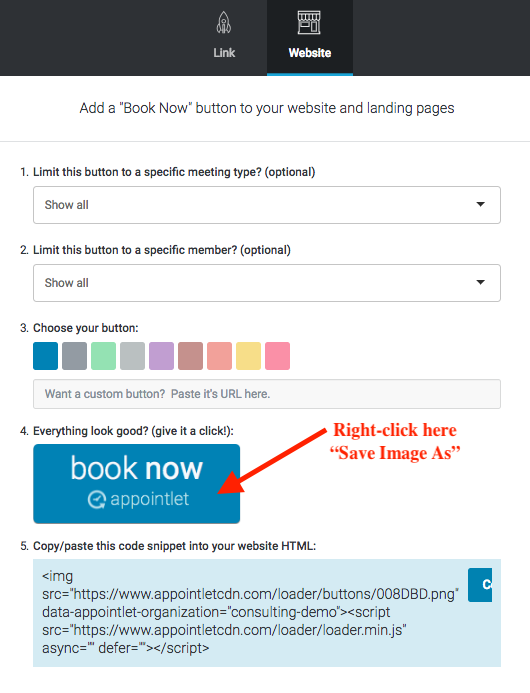 The Booking Page URL is set to show all options by default. 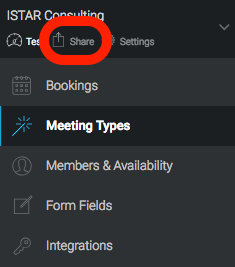 Note: You can click the dropdown menus if you want to specify the meeting type and/or member that you want the booking link to point to. 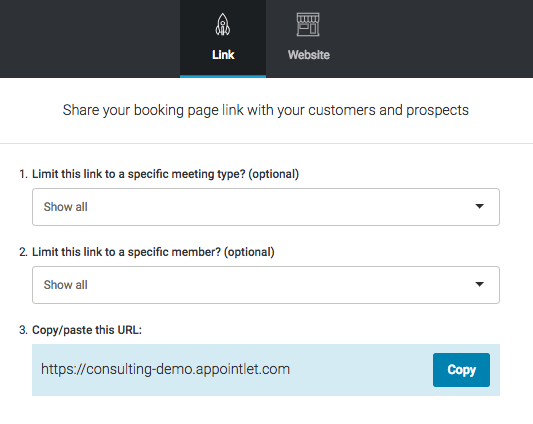 Once your link is configured correctly, simply click the copy button and you'll have the URL to share with your customer. 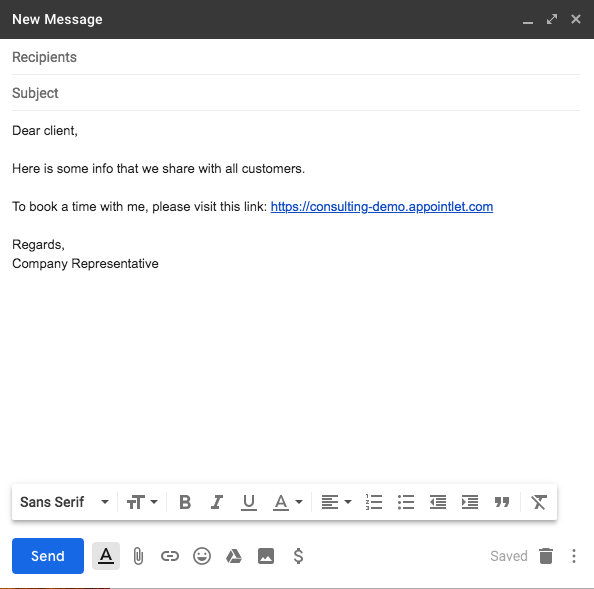 Now that you have a URL to share, let's take a look at how you can integrate it into your email messages. You can access a book now button by clicking on "website", choosing the color you want, and right clicking on the button icon to save it. Once you've saved the icon, simply drag and drop it from your desktop into your email. If drag and drop is not supported by your browser, you load the image manually. 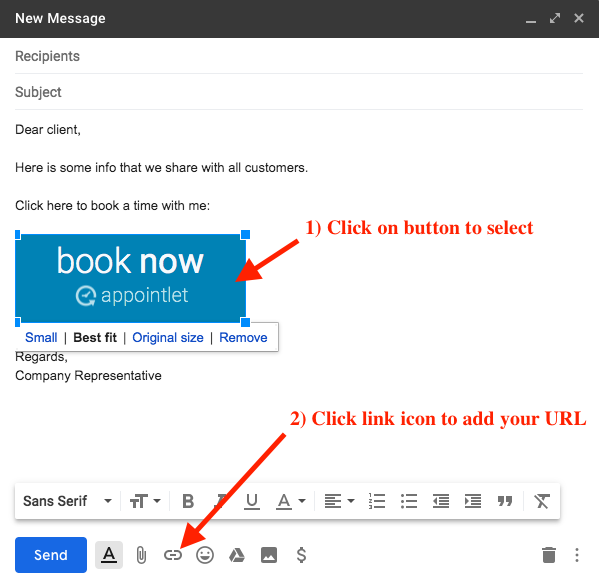 Click on the button in your email body and attach your booking URL.